RSW- Artwork page, "The Hill Road"
This old photograph was found in the Deerfield Academy's Boyden Library Archives relating to the American Studies Group project to catalogue the complete works of Woodward. See also the Fences, Gates & Doors Gallery to view related pieces. See also A Hill Road to view related piece. This old photograph was found in the Deerfield Academy's Boyden Library Archives relating to the American Studies Group project to catalogue the complete works of Woodward. It is not yet known if this painting exhibited at the corresponding exhibition at the Hilson Gallery in May of 1970. 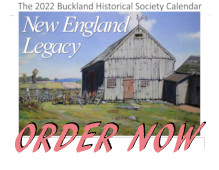 You will note above that we have the time period being 1937, despite evidence that a painting named Hill Road exhibited twice in 1931. We believe there may be another work of art with the same name making it a total of 3 pieces named Hill Road. However, until the third painting is confirmed we will keep the 1931 listings here. It is hard to believe the same painting went un-exhibited for 6 years and then reappeared suddenly to exhibit 8 more times. 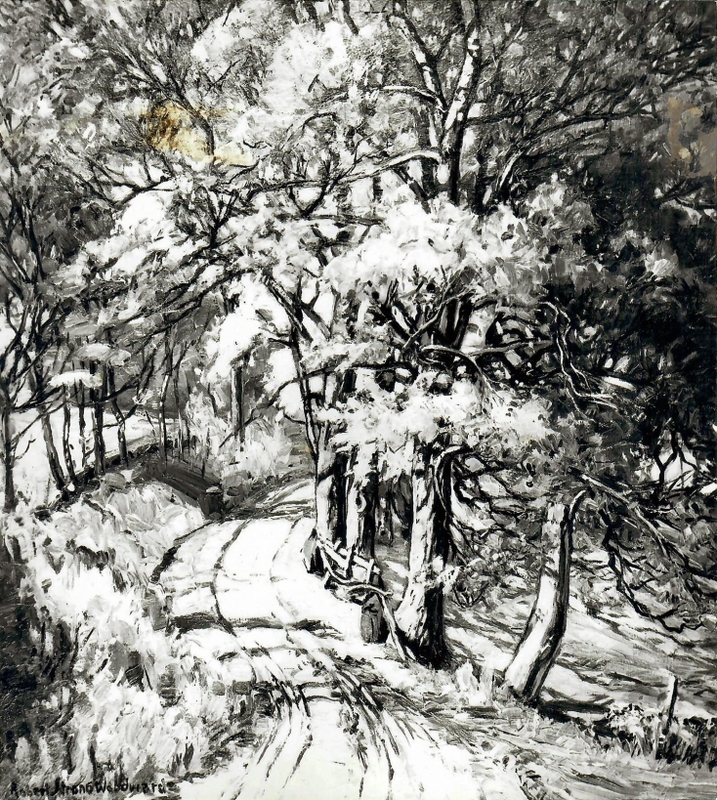 We do not have any other references to Hill Road in RSW's painting diaries except for the 1946 painting A Hill Road painted in North Heath (MA) on Adamsville Road.